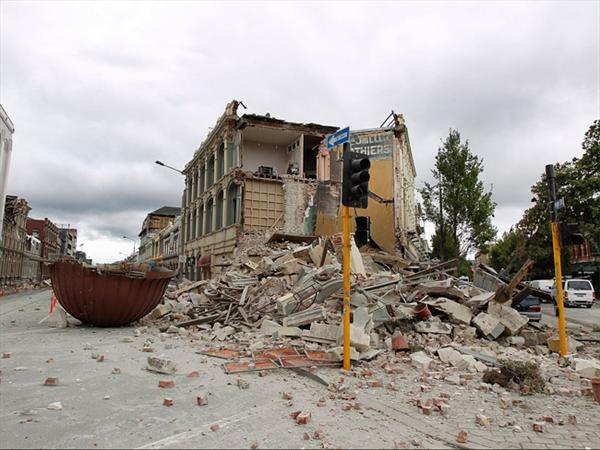 Tomorrow is a big day for New Zealand and especially Christchurch, as it is one year on from the devastating 6.3 magnitude earthquake that destroyed buildings and took the lives or mortally injured 185 people. 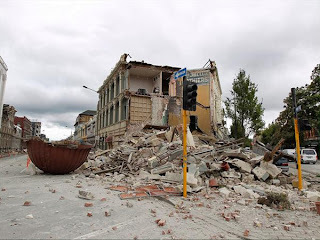 I remember the day quite clearly, for some reason I decided to turn the TV on at about 1.15pm (which I never do during the day, unless for kids cartoons) and was faced with the breaking news of the quake. But it all really started to sink in when I got hold of my sister, she was lucky to be alive. She was working in a shop on the ground floor of 3 storey building on the corner of Lichfield, High and Manchester streets that was reduced to a pile of rubble 1 metre high. She went through to the basement and was buried alive for about half an hour. Fortunately, she was able to get out with the assistance of a couple of people at the surface, and hadn’t broken any bones (she just had some nasty bruises and scratches). This is the building ‘before’ – see if you can spot the dome in the after pic. I learnt from Holly that all my family was fine and that was a great relief, but other than that I had no communication with family down there due to the busy phone lines etc for what felt like an eternity. Andrew was away working and I just huddled by the TV watching the repetitive bulletins, too scared to turn it off in case I missed something really important. * The next day my sister and family were all out digging liquefaction from the properties of complete strangers. * My Dad and Step Mother were lucky in that their house was relatively unscathed and they never lost power, so they shared in their good fortune by hosting those less fortunate in their home. * My Auntie has volunteered with the Rebuild Christchurch Foundation, which included ”Project Christmas” where she and others delivered Christmas presents and groceries to many Christchurch families struggling this Christmas. And I know that my Gran, Nana and other’s down there have picked themselves up and tried to continue as best they can. It really makes me proud, my family are sure made of tough stuff.